The illustrated Al Mar Osprey Knife has genuine Black Pearl handles. The Osprey knife has a 1.65" flat ground drop point blade made of AUS 8 stainless steel, .080" thick, with a Rockwell hardness of 57-59. The blade has a nail nick for opening, and Al Mar logo design. 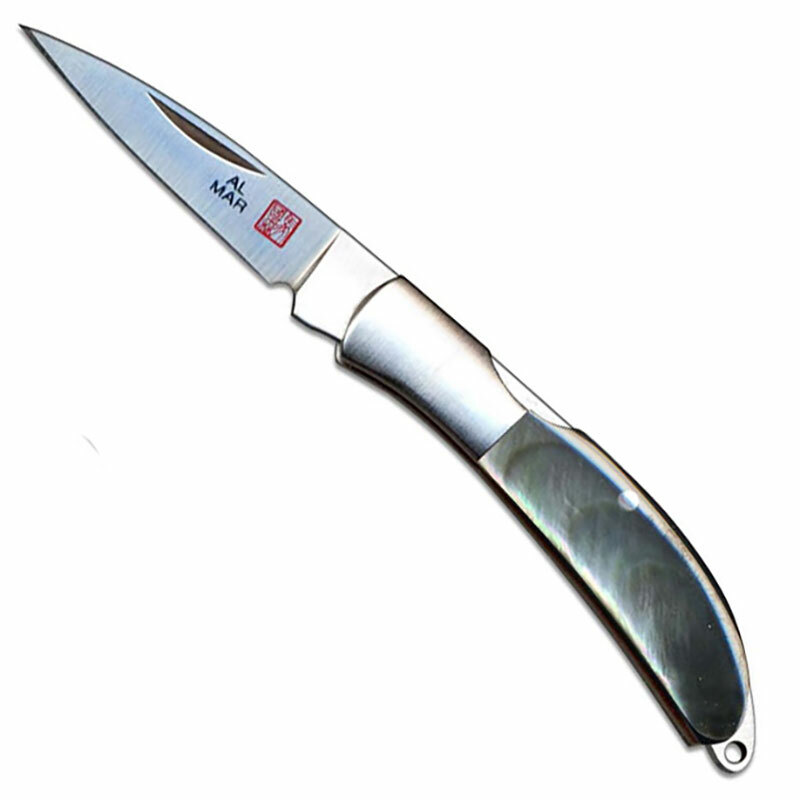 The handle, 2.30" closed, has brass liners, Black Pearl scales and stainless steel bolsters. The Osprey Knife has the Al Mar Front-Lock, and a lanyard hole. The Osprey is 3.95" overall when open, and weighs approximately .5 ounces. Includes a genuine leather pouch, embossed with the Al Mar logo. All Black Pearl handles will vary, which is part of the uniqueness of natural handle materials.